Depending on what your work life demands, finding the right work truck can be stressful. With our impressive variety of Chassis cabs, vans, and pickup trucks finding the right one for all your business needs will be second nature! 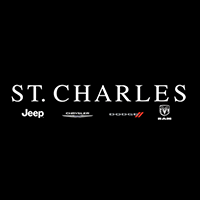 At St. Charles Chrysler Jeep Dodge Ram you can also choose from a wide selection of body truck types to personalize your work truck even further. The 2018 Ram Chassis Cab also offers versatile storage options such as an available fold-flat floor storage that allows for secure and concealed storage. Whether you’re transporting cargo or passengers, there’s room for it all. With these incredible features, it’s no wonder why this work van receives such credibility. Affordable doesn’t even begin to cover it. This work van was built with superior function in mind, that gets any job done–big or small.